The weather is starting to get colder, and the trees are starting to change color. Just as your landscape changes, so too does the behavior of your pests. When fall comes, some pests seem to disappear, others stay in the same place, and still others seem to invade your house in higher numbers. What does fall mean for pests? Some Pests Die – This area gets very cold. Many pests leave their eggs overwinter, and die. That’s why you tend to see fewer pests outdoors. Many of them have fallen victim to old age or the cold and have passed away. Some Pests Invade – Still, while some pests die, others invade during this time. They invade because the weather is getting colder, and your home is often very warm. Many pests do not realize they are entering a home either – they are simply looking for a break from the cold. Some Pests Hibernate – Several species of pest hibernate, although very few of these pests are home problems besides ants. For example, some butterflies and ladybugs find shelter over the winter and get active again once the weather warms. Some Pests Live – Bed bugs, some spiders, and rodents care very little about the weather. 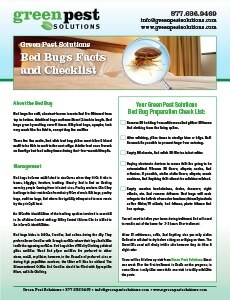 Bed bugs live indoors and are perfectly happy all year. Spiders outdoors tend to hibernate or die, but those that have gone indoors can live for a lot longer. Because fall means that many pests try to find refuge indoors, pest control efforts often focus there – sealing up holes and laying any necessary traps to prevent these pests from taking up residence inside of your home. Most of the problematic summer/outdoor pests die off, but those that are seeking out warmth and shelter will do anything they can to enter your home, and so making sure they cannot find those entrances become crucial. We provide this exact type of protection with our Green Band Protection System – a quarterly pest control service that blocks pests from entering your home in winter and can help you stay free of pests all year. Give us a call today to find out more.